In the ever-increasing use of drones, one of the main concerns is privacy. Now, drone operators can be guided on how to operate their small unmanned aerial vehicles in such a way as not to trample on anyone’s privacy rights. An AP report said a set of guidelines has been issued by a panel of privacy experts and tech companies for drone operators so as to allay privacy concerns of the general public. The guidelines are called “best practices” and as such, are not obligatory or legally binding but will form the start of a broader US government effort to come to terms with drone technology and how it will impact citizens and businesses in the future. The newly released guidelines are for commercial as well as private drone users – companies, individuals and media organizations – including those using drones to provide drone photography services or for filmmaking. 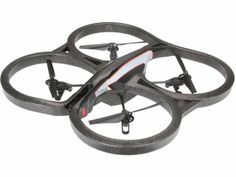 Mostly, first time users and hobbyists with limited training on how to fly their drones, are prone to violating privacy and safety regulations. Drone users, indeed, have a great responsibility to ensure their drone flying will not cause harm to anyone and to any property, and to not intrude into one’s privacy. It is hoped these guidelines will be thus heeded, so as not to jeopardize the industry and the more serious, responsible drone operators.